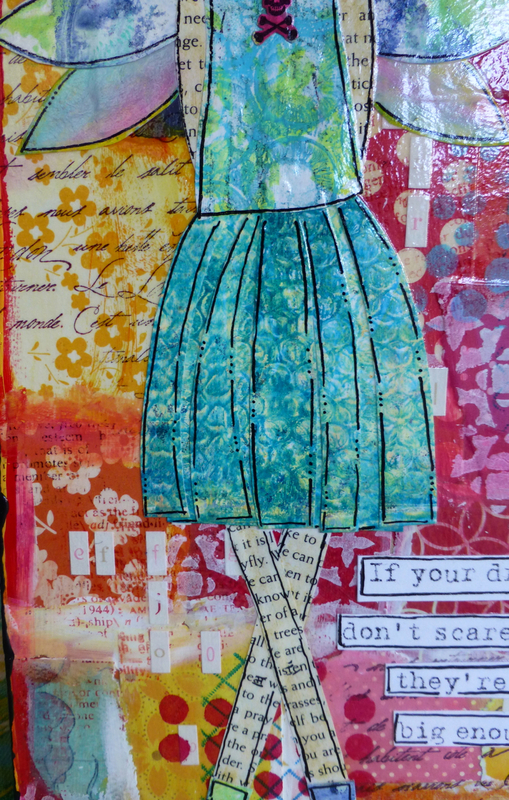 Here's my latest Modern Girl. I've really enjoying making tweens lately. I think it's a great bit of childhood to represent because it's not too babyish nor is it too womanly. My favorite part of this one is how she's standing in a rainbow. It gives the impression that this angelic girl really can reach for her dreams no matter how big. 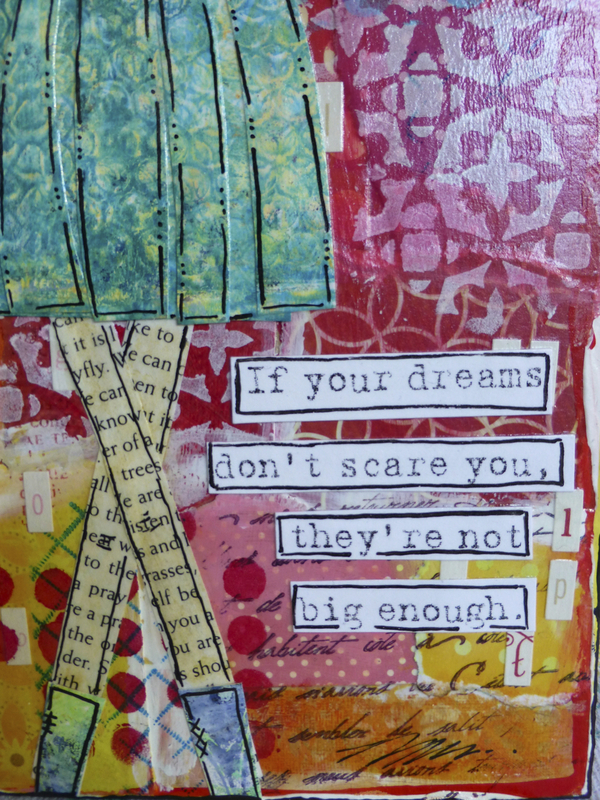 And this message, I wish we could all internalize it... young. 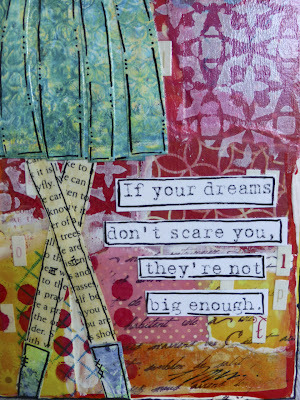 It would save so much heart ache. 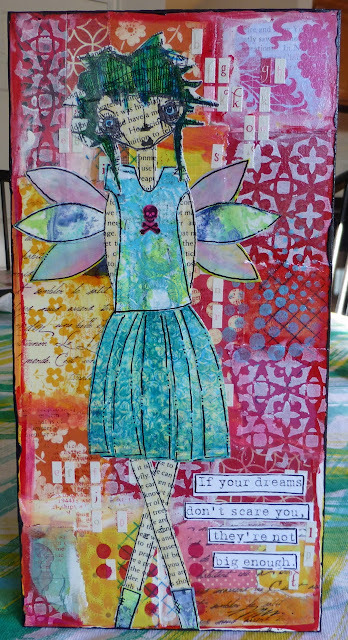 So I had to make another fairy girl using the lovely Jill stamp from Stampotique. 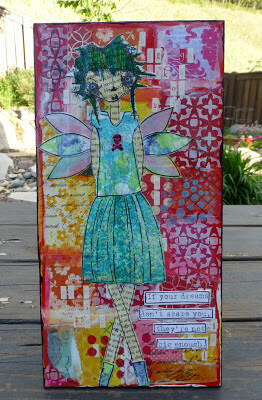 There was some serious Gelli Plate madness going on with this fairy girl. 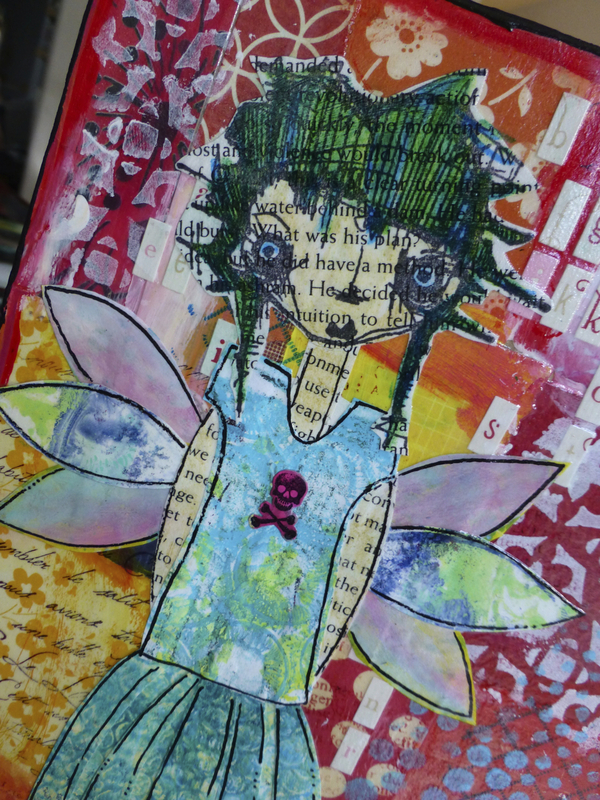 Every part of her, save for the book paper is mono-prints I made by hand using my Gelli Plate. Oh my gosh, how I love that thing! Did you know Julie Balzers's Blazonry stencil for TCW is PERFECT for making wings. Seriously. Perfect. I made this for someone close to me who is getting married next week. And I tried to make the dress as close to her wedding gown as I could. 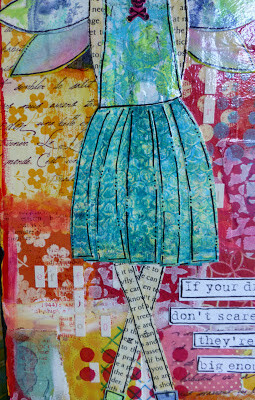 She's having colorful banners and mixed flowers in her bouquet. I wish them a happy future together.